Mark Ogden joins the panel to answer your tweets on Liverpool's FA Cup defeat, Man United's transfer targets, bold predictions for 2019 and more. Marca in Spain claim that Chelsea are close to signing Gonzalo Higuain from AC Milan. Blues boss Maurizio Sarri is keen to add a striker to his squad this month with Alvaro Morata possibly returning to Spain. But Chelsea seem close to pulling off a major coup with Higuain having "accepted their offer." The Argentina international thrived under Sarri at Napoli, scoring a record 36 Serie A goals during the 2015-16 season. 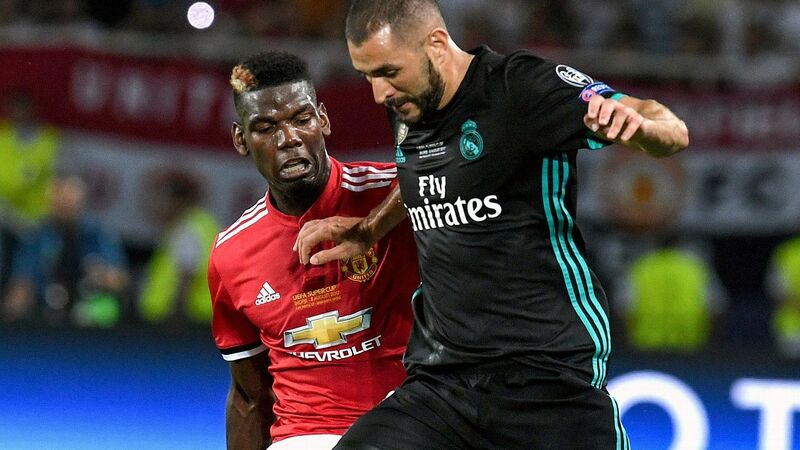 The deal would involve the 31-year-old joining the Premier League side on loan with an option to sign permanently in the summer for approximately £36 million. 23.10 GMT: That will bring Wednesday's live edition of Transfer Talk to a close. Thanks very much for joining us, and be sure to check back in a few short hours when we return with the latest headlines pulled from Thursday's back pages. 22.24 GMT: Suso wants to extend his stay at AC Milan, and the club wants to remove his €38m release clause, so an extension should be a pretty simple proposition, right? Well, yes, but there's a catch. Calciomercato reports that while the above is true, the Rossoneri are worried about the spectre of financial fair play and may well be forced to sell the 25-year-old playmaker. So what's the solution? A new contract, one without a release clause, that could see Milan sell the Spaniard in the summer for €50m instead of €38m. 21.38 GMT: Valencia are set to cut short Michy Batshuayi's season-long loan from Chelsea, writes the Mail, and the report states that West Ham and Crystal Palace are keen to pick up the Belgium international for the second half of the season. 20.52 GMT: Newcastle have been told they'll have to up their bid if they're to land Atlanta United standout Miguel Almiron, having so far failed to submit a bid anywhere near the MLS club's £30m valuation, according to the Guardian. 20.06 GMT: Goal is reporting that Napoli would be willing to let right-back Elseid Hysaj leave for less than his €50m buyout clause, having fallen down the pecking order of new manager Carlo Ancelotti, and that Maurizio Sarri is hoping to be reunited with his former charge at Chelsea. 19.21 GMT: That £35m bid West Ham received from an unnamed Chinese Super League club for Marko Arnautovic? The Telegraph reports the East London club has rejected it out of hand and has no intention of letting the Austrian leave this month. 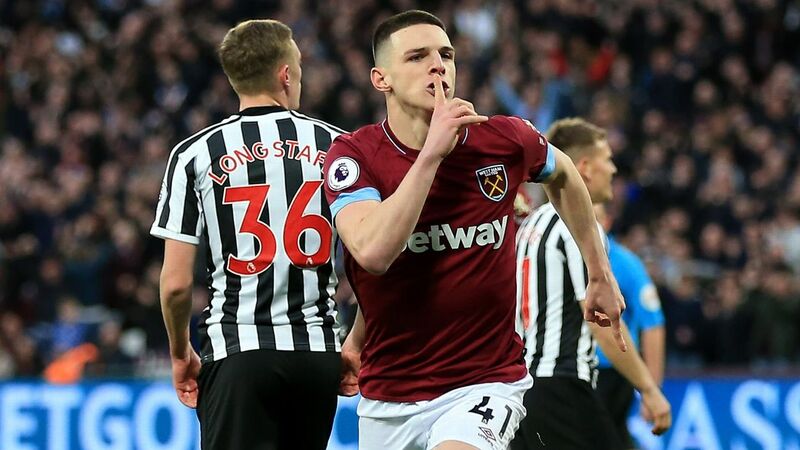 18.35 GMT -- DONE DEAL: One of those two mooted Sunderland signings from a little earlier has been confirmed: Burnley defender Jimmy Dunne has joined them on loan until the end of the season. 17.55 GMT: There could soon be not one but two new arrivals at League One high-fliers Sunderland, with reports suggesting they have tabled an offer for Wigan's Northern Ireland striker Will Grigg and are close to signing Burnley defender Jimmy Dunne. 17.30 GMT -- DONE DEAL: Confirmation that Chelsea midfielder Lewis Baker has, indeed, joined Reading on loan. 17.15 GMT: Ipswich Town, currently adrift at the foot of the Championship, have brought in ex-Derby forward Simon Dawkins on a short-term deal. 16.55 GMT: Staying with matters Championship, the Mail says struggling Reading "are poised to seal a coup by signing Lewis Baker on loan from Chelsea." Midfielder Baker had a loan spell at Leeds cut short after struggling for playing time, but could be about to make a swift return to the second tier. 16.40 GMT: Aston Villa could recall winger Andre Green from his loan spell at League One Portsmouth in order to boost their ranks for the second half of the season, the Birmingham Mail reports. 16.20 GMT: Wolves hope to persuade in-form wing-back Matt Doherty to sign a new deal at Molineux amid interest from Tottenham, with the Mirror reporting that Doherty "has got super-agent Jorge Mendes working on a new deal." 15.55 GMT: Let battle commence... Antonio Ruiz of Cadena COPE reports that Atletico Madrid have joined the race to sign Alvaro Morata from Chelsea. As ESPN sources said earlier, Morata's agent is in London but so is Atletico transfer guru Andrea Berta. 15.38 GMT: More from Inter Milan striker Mauro Icardi ... or, more precisely, his agent and wife Wanda Nara. "Icardi's renewal with Inter is very far away as things stand," Nara told AS. "There are very big clubs interested in signing Mauro and were are very far away from reaching an agreement. The figures being talked about in Italy regarding the renewal are not accurate. We have not yet received a reasonable offer from Inter. "We won't deny that at any moment we could reach an agreement, but right now we are far away. It is not reasonable to accept a contract offer for the same amount Mauro is earning. We believe Mauro is a level above. We have a good relationship with two big clubs in Spain, who are very interested in Mauro." 15.20 GMT: Manchester United will continue to conduct a thorough process in the search for a new manager, sources have told ESPN FC, despite Ole Gunnar Solskjaer's 100 percent record in his caretaker role so far following last month's sacking of Jose Mourinho. 15.09 GMT: High praise indeed from Celtic boss Brendan Rodgers on new signings Vakoun Issouf Bayo, Oliver Burke and Timothy Weah: "We suffered a little bit when Moussa [Dembele] left in the summer, but I'm happy with these three." 14.56 GMT: Chinese side Dalian Yifang may be about to lose Yannick Carrasco but they could gain Dimitri Payet according to France Football. Former Monaco boss Leonardo Jardim is in charge of Yifang, so that would be a relatively easy transition. While the report states Payet could triple his salary and that Marseille are looking for around €30m for the forward. 14.33 GMT: Inter Milan striker Mauro Icardi will NOT renew his contract with the club, according to TyC. The report claims that: "According to his wife and representative Wanda Nara, after a meeting with leaders of the Italian club, the striker will not renew his contract that ends in 2021." And that means Real Madrid and Chelsea are now interested in him. 14.17 GMT: Manchester United have cooled their interest in Fiorentina defender Nikola Milenkovic following the sacking of Jose Mourinho, sources have told ESPN FC. Mourinho was desperate to add a centre-back to his squad before his dismissal and wanted Milenkovic in the January transfer window. However, after the Portuguese coach was sacked in December, United have prioritised other targets including Kalidou Koulibaly at Napoli and Milan Skriniar of Inter Milan. 14.08 GMT: Hans-Joachim Watzke has addressed recent media reports linking Germany attacker Timo Werner and Belgium's Thorgan Hazard with moves to Dortmund next summer. "I know at least 80 players who'd be a great fit for us. But I get the impression that one of the two players has already sorted out his future. And we play no role in it," the Borussia Dortmund CEO told news wire DPA. Earlier this week, German paper Bild speculated that Dortmund could make a €60m bid for Werner, who has entered the final 18 months of his Leipzig contract. While Bild also claim Dortmund have started negotiations with Borussia Monchengladbach to sign Hazard for €42m this summer. And of course he spoke about the €64m transfer of Christian Pulisic to Chelsea also, saying: "If Christian starts rolling, the fee will pay itself off one day. As the United States captain, he is of special value to any English club. Chelsea have never distinguished themselves by doing romantic things. They are hard-boiled businessmen." 14.02 GMT: A report in AS suggests Munir El Haddadi will leave Barcelona on June 30 when his contract runs out. The forward had a five-year offer on the table but had requested more minutes. The article adds that a Barcelona insider suggested the player had requested a €1.5m bonus to stay. Barca are reportedly shocked at his decision, as they felt the length of their offer was evidence of him being in their plans. 13.42 GMT: Flamengo have been very busy in the transfer market. As well as securing a deal for Gabigol, they have signed Giorgian De Arrascaeta from Cruzeiro for R$ 63.7m (US$17.2m), which makes this the highest fee ever paid for a player by a Brazilian side. 13.21 GMT: Cruzeiro president Marcone Barbosa has the club are close to agreeing a deal for 18-year-old goalkeeper Gabriel Brazao to join a Serie A side -- thought to be Inter Milan. "There are negotiations ongoing," Brazao told Passione Inter. "All I can say is that it is with an Italian club, whose name we will only reveal once the deal is completed. We are close to finalising with them." 12.59 GMT: An Alvaro Morata update: the Chelsea forward's agent is in London to negotiate a loan move to Sevilla, a source has told ESPN FC. Watch this space. 12.29 GMT: Yannick Carrasco earns a reported £9m-per-year at Chinese Super League side Dalian Yifang, so it's not a massive surprise that he will need to take a pay cut to join Arsenal. But Calciomercato claim that he's willing to, so that's a start. 12.03 GMT: This year could be a big one for Hirving 'Chucky' Lozano and the Mexico winger has refused to rule out an exit from PSV in 2019 when quizzed by ESPN Deportes. 11.36 GMT: Marca says that Real Madrid now want Porto centre-back Eder Militao. 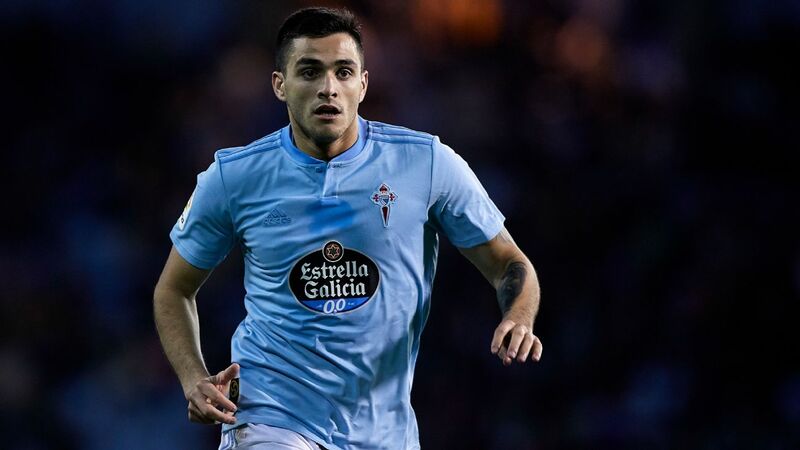 The 20-year-old has been linked to Man United and Liverpool but Real's defensive woes in recent weeks have persuaded them to get involved it seems. 11.16 GMT: Switzerland winger Steven Zuber, 27, joins on a six-month loan from Hoffenheim, who continue to thin out their squad after crashing out of Europe in December. 10.48 GMT: Arjen Robben has told reporters in Qatar on Tuesday that he'll make a decision on his future before the end of the season. The 34-year-old will leave Bayern and has been linked with his former clubs Groningen and Eindhoven, while Inter Milan have reportedly also joined the race for the free agent. 10.29 GMT: Callum Hudson-Odoi has no plans to sign a new Chelsea contract and Bayern Munich are awaiting a response to their fourth bid for the winger, believed to be £35m, a source has told ESPN FC. A source said the academy youngster does not plan on signing a new deal, with his existing contract set to expire in 2020. And Bayern are desperate to land Odoi, having made four bids for him. 10.26 GMT: In case you're a West Ham fan hoping that your club will sign Gabriel 'Gabigol' Barbosa, he is moving to Flamengo instead. Sorry. 10.13 GMT: The agent of Marko Pjaca, who is on loan at Fiorentina from Juventus, says there is "no chance" his client will be leaving the club in January despite links with Fulham and Wolves. 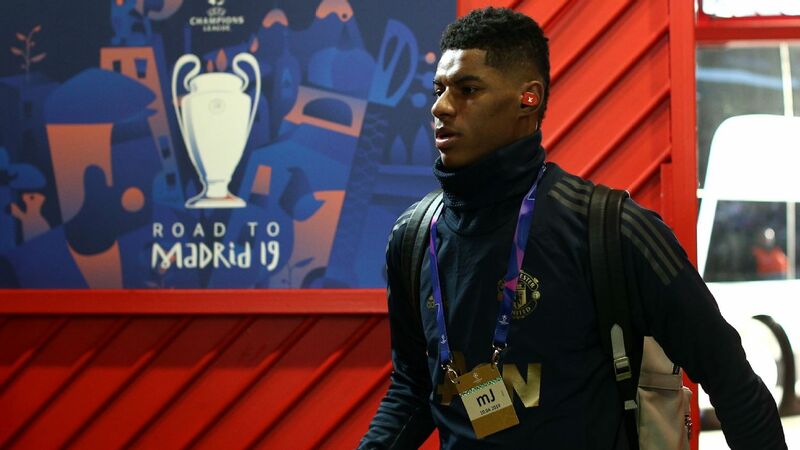 He told to Violanews: "So far, things have not gone as everybody hoped, but the lad feels the faith of the club and the coach, with whom he has an excellent relationship. Marko is delighted with the way he's settled in in Florence and in the Viola dressing room. I would like to underline that in the summer he did everything to come to Fiorentina -- negotiations were not easy, but he insisted because he only wanted Fiorentina and he's not changed his mind." 10.04 GMT: Borussia Dortmund are set to sign Boca Juniors starlet Leonardo Balerdi, according to Marca. The 19-year-old centre-back is the subject of a €15m bid and Boca are leaving the decision over the move with the Argentina under-20 international. 09.55 GMT: Chelsea striker Tammy Abraham's proposed loan move to Wolves has been scrapped for now because none of the parties involved are certain that FIFA would grant clearance to the deal, sources have told ESPN FC. 09.46 GMT: Sevilla sporting director Joaquin Caparros has confirmed that his club are interested in signing Chelsea forward Alvaro Morata in the winter transfer window but called it a "very complex operation." Morata joined the Blues for a reported club-record fee of around £60m in the summer of 2017 from Real Madrid. 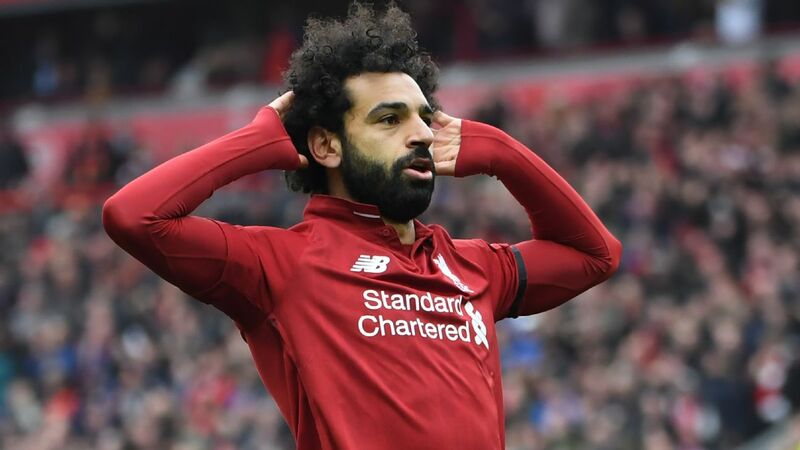 He has scored five goals in 16 Premier League appearances but has not found the back of the net in the league since Nov. 4. "It's true that we have monitored Morata's situation but it's also true that it's a very, very complex operation because of the cost of the transfer," Caparros told Sevilla's TV channel. "It's true that he [Morata] may want to move to Sevilla above other options but I reiterate that it's a hugely difficult move because Chelsea is a difficult club to negotiate with. Negotiation is an art. We do have good and experienced negotiators at the club." 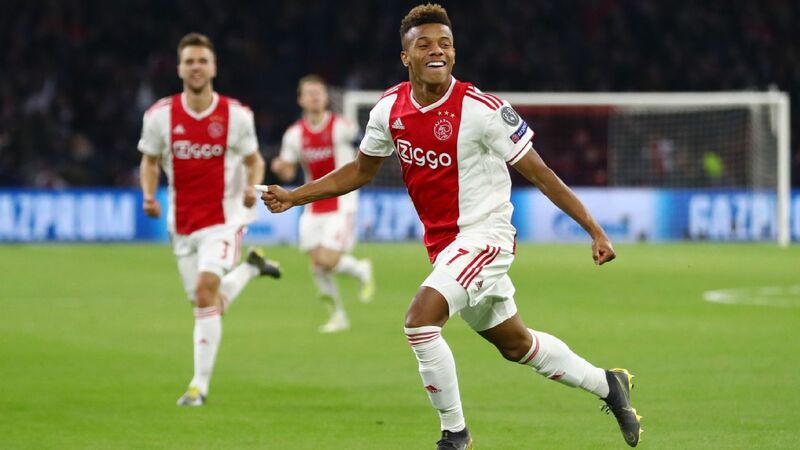 09.33 GMT: Toulouse prodigy Jean-Clair Todibo is set to join Barcelona in the summer, but he could actually move this month according to his agent. Speaking to RMC, Bruno Satin stated the 19-year-old centre-back had agreed to move next summer, but that "contact has been made to bring forward his arrival." 09.23 GMT: Munir's agent, Francisco Valdivieso has explained the reasons for his client deciding to turn down a new contract with Barca -- news that ESPN FC brought you first -- with his current deal ending this summer. "There's nothing signed with Sevilla," he told Cadena Cope. "It's an option but no agreement has been reached. Munir decided not to renew with Barca because he wants to play. If he leaves in January, it's because Barca has made that decision." 09.12 GMT: Seeking to significantly reinforce their squad in the winter window, Monaco are making progress elsewhere than in their moves to sign Cesc Fabregas, L'Equipe reports. 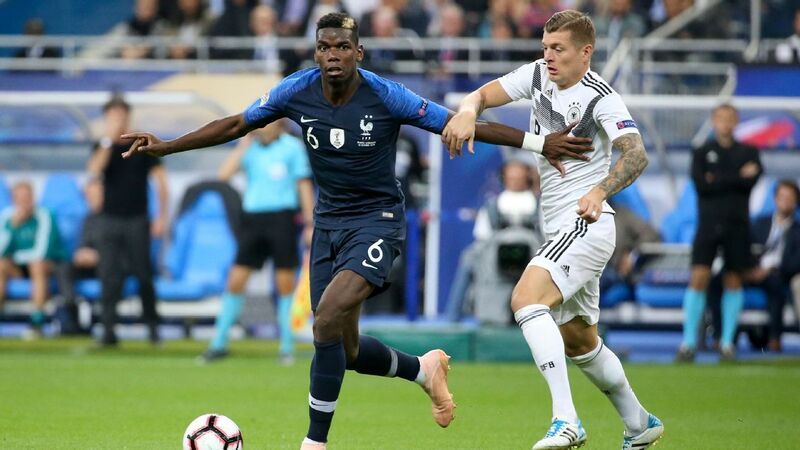 Lille left-back Fode Ballo-Toure is set to move to the principality, the paper claims, while last season's Ligue 1 runners-up, currently second from bottom of the table, are also seeking to bring former Nice left-back Dalbert back to France from Inter Milan. 09.00 GMT: Benjamin Pavard will move from Stuttgart to Bayern Munich in the summer. Done deal. Bayern sporting director Hasan Salihamidzic also said the Bundesliga champions "absolutely want to sign" Callum Hudson-Odoi from Chelsea. 08.35 GMT: Arsenal have activated a clause within Nacho Monreal's contract to extend his deal until the end of next season, sources have told ESPN FC. Monreal, 32, had entered the final year of his contract with the club, but Unai Emery said in September he wanted the left-back tied down to a new deal. Talks over a longer-term contract have been put on hold for now, but the move means Monreal will not be leaving for nothing at the end of the season. 08.20 GMT: Sevilla sporting director Joaquin Caparros has confirmed his club is interested in signing Chelsea forward Alvaro Morata in the winter transfer window but admits it will be difficult to do so. Morata has scored 24 goals since arriving for £60m from Real Madrid at the start of last season, but has not found the net in the Premier League since Nov.4. Chelsea boss Maurizio Sarri has often taken to starting Eden Hazard as a false No. 9, rather than field Morata or fellow centre-forward Olivier Giroud. Asked about Morata, Caparros told the club's TV channel: "It's true that we are interested in the player. But it's a very, very complex operation. "The player may want to come but it's very complicated because Chelsea is a club that's very difficult to negotiate with." Caparros also confirmed that Barca forward Munir El Haddadi is also "an option" for Sevilla to strengthen their attack. Borussia Dortmund have begun negotiations with Borussia Monchengladbach winger Thorgan Hazard, according to Sport Bild. Dortmund are in the market for a wide player after confirmation that Christian Pulisic will join Chelsea in the summer and they have made Hazard their top target. 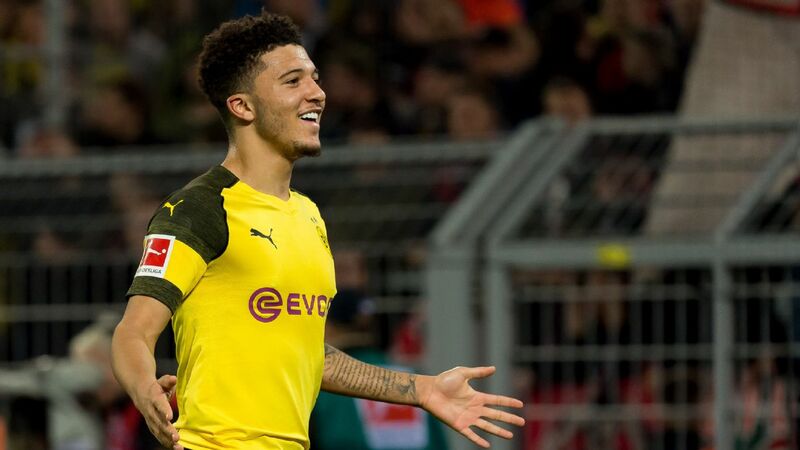 The Belgium international, the brother of Chelsea star Eden, has excelled in the German top flight this season with nine goals and six assists in 17 games. The 25-year-old has also attracted interest from the Premier League but the Bundesliga leaders have emerged as clear frontrunners. Hazard would cost Dortmund around £38m. "We are talking about that -- I would like it," Guardiola said. "He's our captain, 11 years here, we saw in the last two [league] games the huge quality and personality he has to play. The only problem with Vincent is one: his injury problems." Kompany's injury problems have restricted the defender to just six Premier League starts this season. Crystal Palace want to sign Tammy Abraham after the striker turned down the chance to join Wolves on loan. 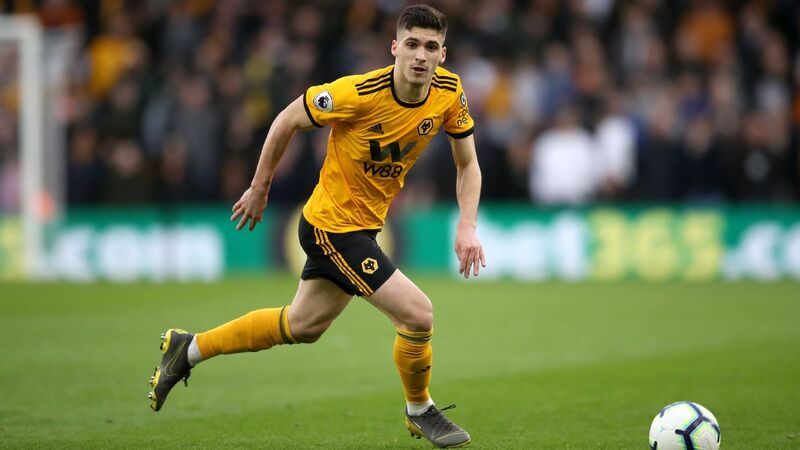 The 21-year-old, currently on loan at Aston Villa from Chelsea, was expected to make the switch to Molineux before a change of heart saw him stay at Villa Park on Tuesday. But Abraham's future may not be resolved yet with The Mirror saying he is now subject of interest from Palace. The Eagles are shopping for reinforcements up front after pulling out of a deal to sign Dominic Solanke before he joined Bournemouth from Liverpool. Bilbao sporting director Rafa Alkorta has confirmed the club's interest in re-signing Spurs striker Llorente. The 33-year-old is one of several players being targeted by the Basque side as they attempt to avoid relegation from La Liga. Llorente has been behind Harry Kane in the Tottenham pecking order since joining from Swansea in 2017 and may be tempted by the opportunity for regular first-team football given that he is yet to start a Premier League game this season. Although United are expected to have a relatively quiet January window, the club are willing to break the bank to sign Koulibaly in the summer. The Senegal international is reportedly one of United's top defensive targets but would likely cost in excess of the world record £75m Liverpool paid for Virgil van Dijk. Real Madrid are also showing interest in the 27-year-old. The Hammers are set to make an improved offer for the defensive midfielder, who is open to leaving Besiktas this month. The 31-year-old, who has 114 caps for Chile, spent one year in England with Cardiff City before joining Inter in 2014. He moved to Besiktas in 2017 but the Turkish club are willing to sell Medel if their valuation is met. Having made overtures to the Croatian in the summer, Inter are ready to revive interest in Modric and test Real Madrid's resolve with another bid. The 33-year-old has struggled to recapture the form that saw him win the Ballon d'Or at the end of 2018 but the Nerazzurri believe Real's current struggles, with the club lying fifth in La Liga, may help their pursuit of the playmaker. Modric may be joined at the San Siro by Herrera, with the Mexico international said to have his heart set on a move to the Italians. 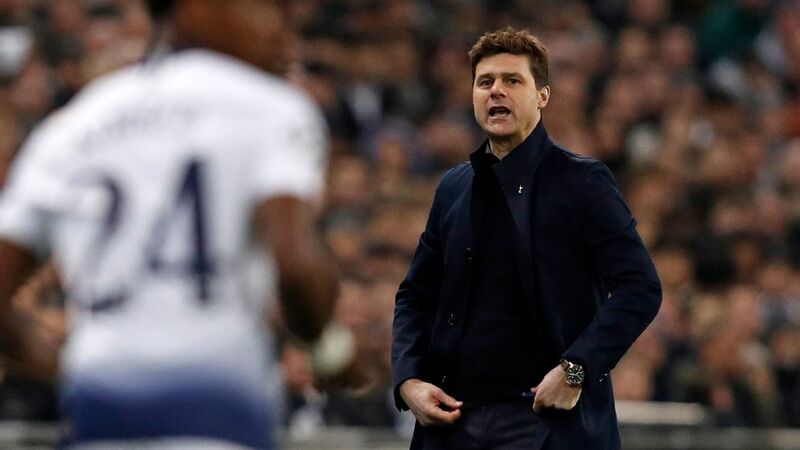 The 28-year-old, who has previously attracted interest from Tottenham, is out of contract at Porto at the end of the season and is ready for a new challenge after almost six years in Portugal.